Berkeley, CA - July 3, 2012 — Fans of THE WALKING DEAD got a sneak peek at the hardcover edition of THE WALKING DEAD Compendium, Volume One at Emerald City Comicon in March, and now they'll get a second chance to purchase one of the coveted tomes at Comic-Con International in San Diego. The one hundred copies of the gold-stamped, hardbound edition brought to Seattle sold out in a matter of minutes, leaving 900 copies left to sell at Comic-Con, which takes place in the San Diego Convention Center on July 11-15. The hardcover Compendium collects issues #1-48 of THE WALKING DEAD by Robert Kirkman, Tony Moore, Charlie Adlard, and Cliff Rathburn, and is $100. Because of the limited quantity, attendees will draw tickets at the Image Comics/Skybound booth (#2729) for a chance to purchase a Compendium. Attendees will draw from a bowl of tickets, and if the ticket they draw is a winner, they will get to purchase one copy of the Compendium. A limited number of Compendiums will be sold each day and are limited to one copy per person. Each attendee may draw tickets only once per day. The tickets will be available each day at the opening of the convention, beginning on July 11 (Preview Night), and will be available until all of that day’s compendiums are sold out. 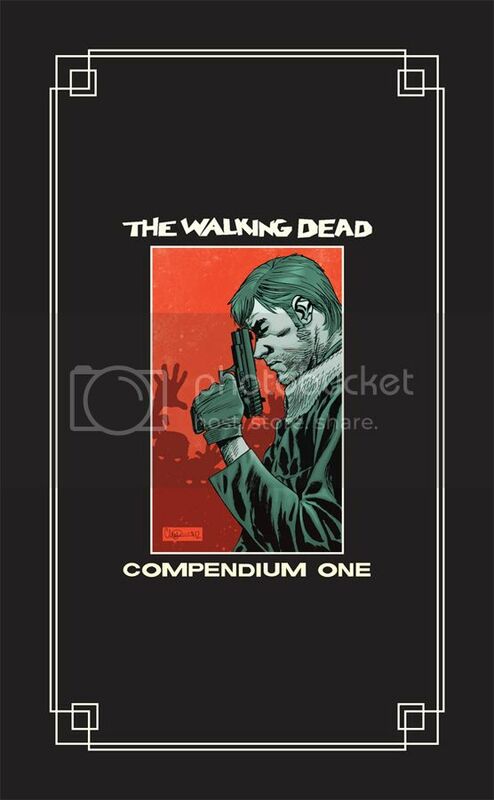 A paperback edition of the Compendium will also be available at the Skybound for $59.99. A second paperback THE WALKING DEAD Compendium, collecting issues #49-96 was announced today at USA Today.